High conductivity hermetic thru vias are fabricated in ceramic dielectric materials; primarily alumina 99%, alumina 96%, and aluminum nitride. These ceramic substrates are provided “polished” or “as-fired.” Via fill conductor metals of gold, silver, or copper are available. Via diameters range from 75 to 250 microns on specified pitches. High conductivity hermetic thru vias can be fabricated in silicon, as wafers or panels. These silicon substrates are available with specified oxide layers and intrinsic conductivities. Via fill conductor metals of gold or copper are available. High conductivity hermetic thru vias can be fabricated in glass or glass-ceramics, as wafers or panels. Via fill conductor metals of gold, silver, or copper are available. Via diameters range from 30 to 250 microns on specified pitches. 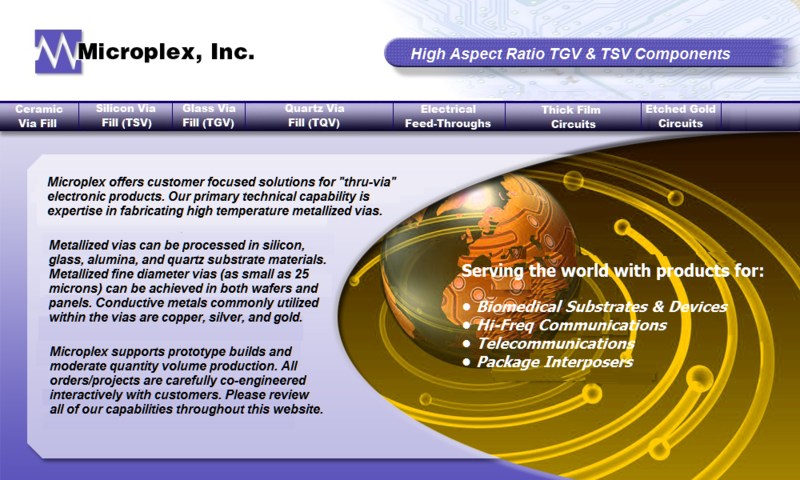 High conductivity hermetic thru vias can be fabricated in quartz or fused silica or glass-ceramics, as wafers or panels. Via fill conductor metals of gold, silver, or copper are available. Via diameters range from 30 to 250 microns on specified pitches. Hermetic interconnects for chip enclosures, and multichip packages. Low cost replacement for machined hermetic connectors. 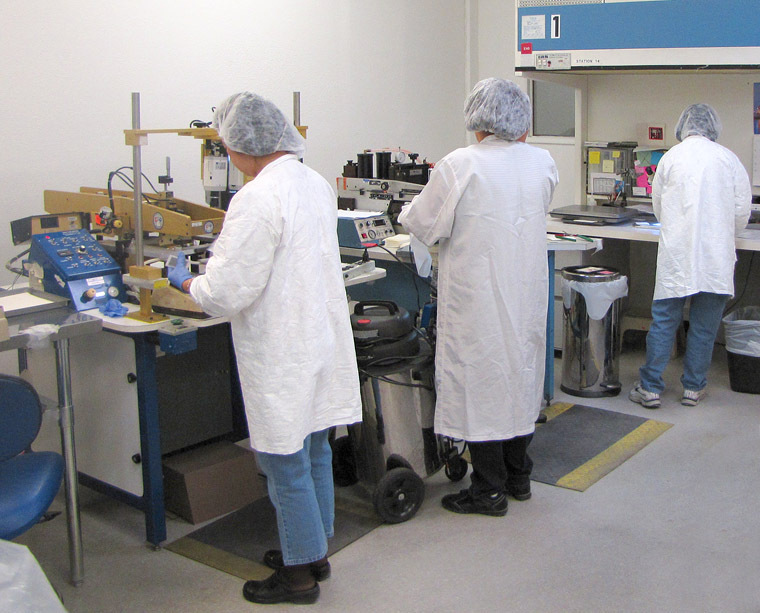 Feed-throughs are available in stainless steel, aluminum, various ceramics, and other materials as needed. 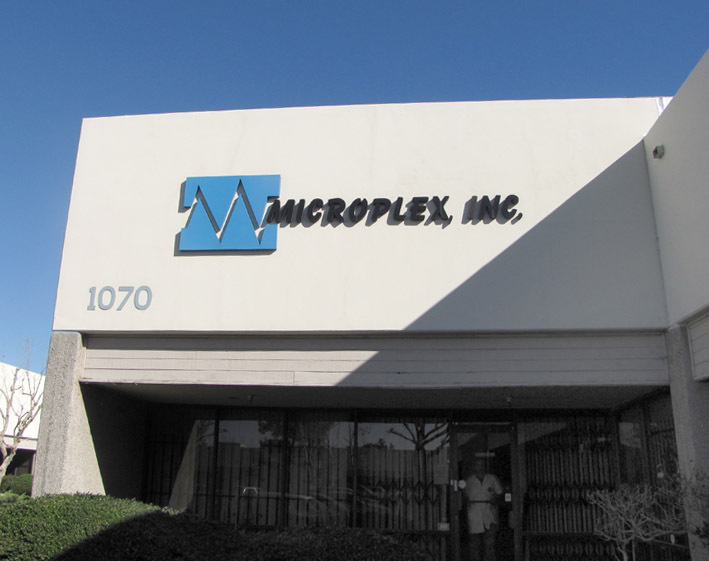 Microplex offers the capability to fabricate small connector feed-throughs for device packages. These conductive feed-throughs can be designed to penetrate silicon, alumina, glass, quartz, AlN, aluminum, and steel materials. Additional features include fine via diameters, tight pitches, and assured hermeticity if required. Printed thick film circuits with fine line/space resolution. Lines/spaces as fine as 100 micron, in gold, silver, palladium silver, and copper. Printed dielectrics to fabricate multilayer structures are available as well. Chemically etched thick film circuits with fine line/space resolution. Lines/spaces as fine as 50 micron or finer, in gold. Printed dielectrics to fabricate multilayer structure are available as well.